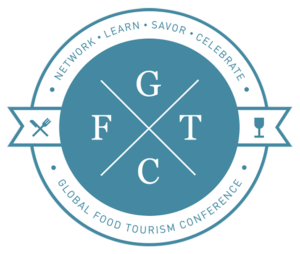 Hey Everyone, We just got back from a fabulous conference in Seattle where food tour operators from more than 15 countries came together to celebrate this emerging industry and to learn from one another. There were tour operators from Japan, France, Australia, Italy, all of which we REALLY want to try! It was a really cool opportunity to meet other entrepreneurs who are passionate about food and tourism in their cities. We were able to reconnect with our good friends from Indulge Boise (indulgeboise.com), Beach City Food Tours (www.beachcityfoodtours.com), and Reno Food Tours (renofoodwalks.com). Our biggest takeaway from our time in Seattle was that food tours provide a unique opportunity for people to do something new, meet new people, try new food and drinks and share the joy of those experience with others who share their love for good interesting foods. We are so enthusiastic to bring what we have learned back to our community to create new food tour products that highlight the incredible, unique restaurants and artisans in Kingston. We have never been more confident that the collection of chefs, restauranteurs, bakers, farmers, bartenders are a really special group of people whose skills are on a world class level. If you're a local Kingstonian or a visitor to our city we CAN NOT WAIT to introduce you to everything our beautiful little city has to offer.